Good morning polished world! If you saw yesterdays post, then you know today's does not contain a manicure. How can that be though you may ask? Especially since it's Twinsie Tuesday?? Well, all of us lovely Twinsies are bringing you a special post which contains our nail care routine! If you want to see how I care for my nails, then come on in to the post! Honestly, I'm kind of embarrassed with today's post. I literally do nothing when it comes to caring for my nails. I'm sure the other girls are going to have these posts filled with fancy cuticle oils, sugar scrubs, and moisturizers, while I'm over here with three items. So, it is time for me to remove a manicure. 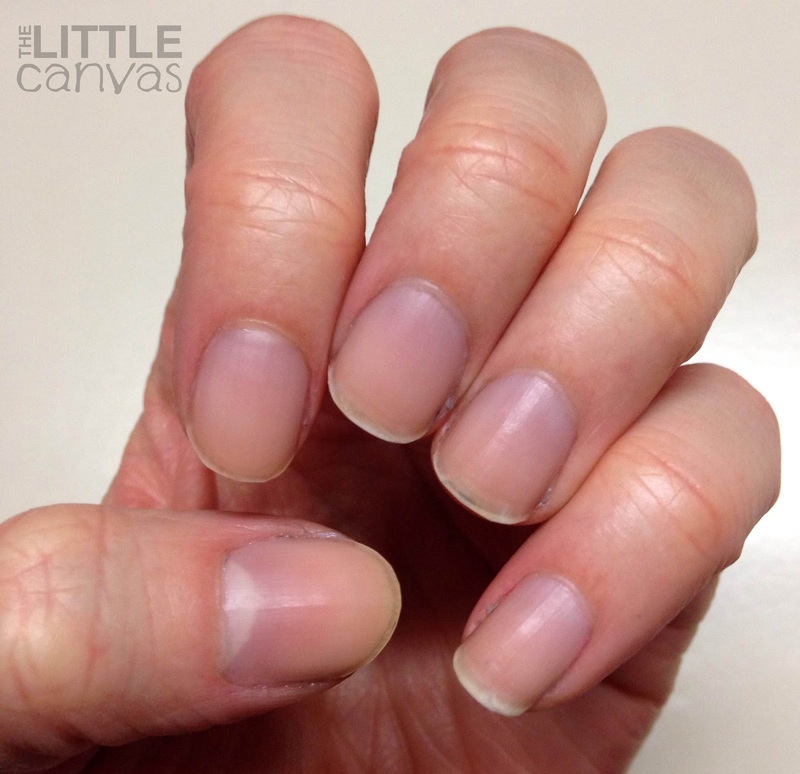 Kind of perfect that yesterdays manicure was the one I was removing for this post. I honestly didn't remember that I photographed it or uploaded it that way. Kind of awesome how that happened. Anyways, time for me to remove a manicure. 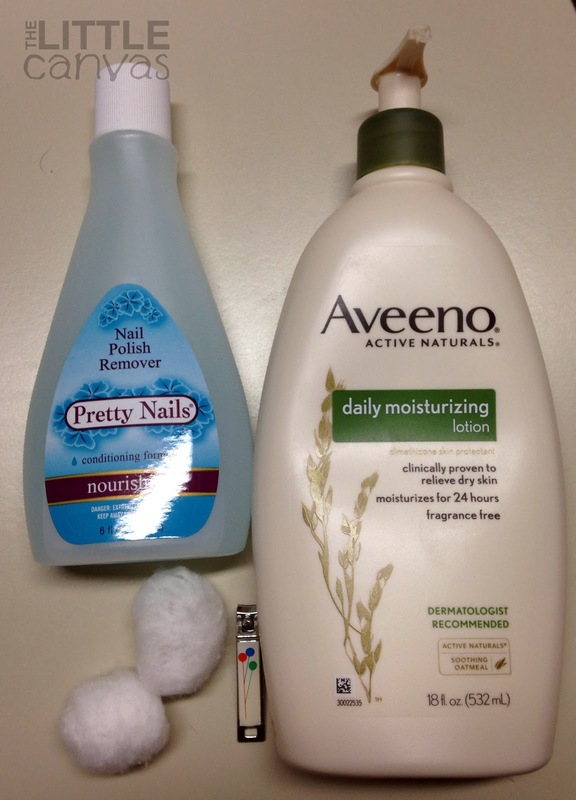 I grab my trusty bottle of Pretty Nails Nourishing Nail Polish Remover and cotton balls. Now, I know many ladies out there use pure acetone, which I did for awhile too. It was great, it removed my polish so fast, but one problem, it dried my nails out something fierce. It was AWFUL. They peeled, they broke, I was so sad. I remember one day telling my sales clerk at Sally Beauty about how awful my nails were looking under my polish and she asked if I was using pure acetone. She shook her head going "no no no, you should NOT be using that on your natural nails! That's too harsh! 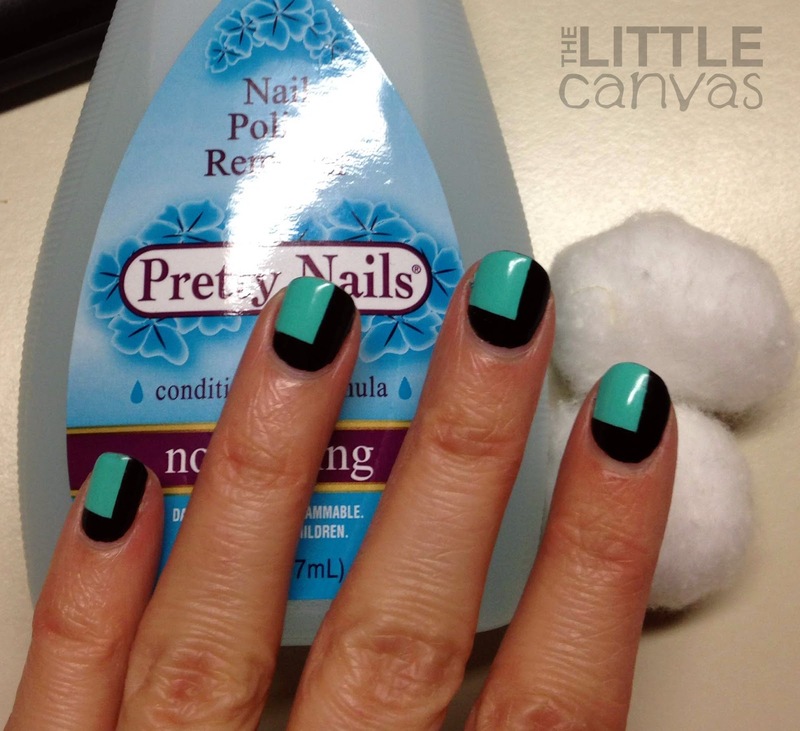 100% acetone is meant for gel nails or acrylics." She showed me a bottle of pink Beauty Secrets remover which contains acetone but also had wheat germ in it along with other Vitamins which she said would restore my nails. Sure enough it did. I do still have a bottle of that, but I use it mostly for removal of my glitter polishes since it's got a fragrant smell which sometimes gives me a headache. This remover is one I get at my local drug store and it works great. It has the same nourishing vitamins and isn't harsh on my nails at all. Ever since I stopped using the 100% acetone, my nails are a million times healthier, rarely peel, and this winter I've only had one break. I shouldn't say it because I will curse myself and have a huge break, but I've been very blessed especially with how dry my hands have been this winter. Now, I don't file my nails. *Shocked gasps* Yes, I know, awful right? Well, here's something about me, I absolutely loathe the noise that nail file makes as it is filing the nail. I hate it. Whenever my mom is around me filing her nails I beg her to stop. Seriously, it's nails on a chalkboard to me. I can't....anyways. I use these baby clippers I got for 99 cents one day while I was at work. I had broken a nail and well couldn't file it, so I walked out in the aisle and purchased them. Best.purchase.ever. They're the perfect size for me to shape my nail how I want, and I have control as to how much nail I want to clip off. Yes, I'm sure my nail shape would be better with a file, but this is how I do it. Nails freshly chopped, time to moisturize! I'm a weirdo, as you can see, I literally take globs of lotion and cover my nail as seen in the gross looking photo above. I then sit and surf Pinterest for a good ten to fifteen minutes as the lotion starts to "soak" into my nail. When my time is up, I rub what's left of the lotion into my nail and continue on with life. Aveeno is a great lotion which really does moisturize my skin nicely. When you have skin sensitivities, a lotion like this is great because it's really natural. The reason I do this is two fold. One, it puts moisture back into my nail. Even though my polish remover is not 100% acetone, it still does contain some acetone which can affect the health of my nail. Second reason is because of my cuticles. 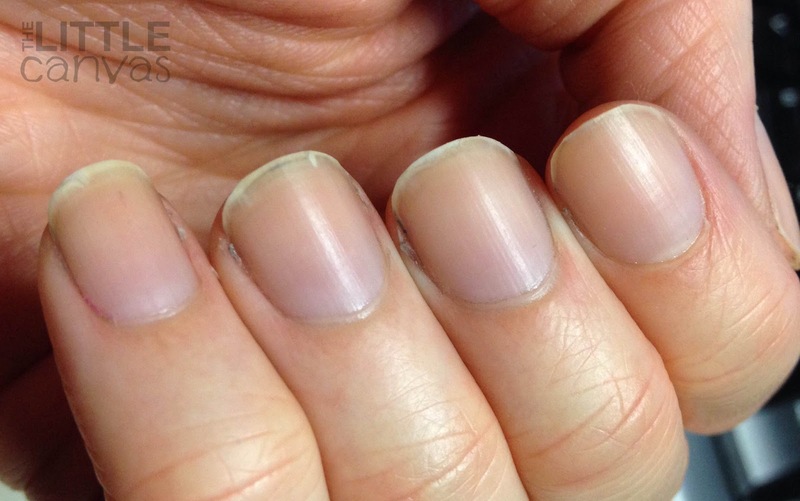 If you have followed my blog from the beginning, you may know that I have a fear of pushing my cuticles back. Honestly, I don't think that it's normal to do. I'm scared that I'm going to injure myself or give myself a huge infection, and no I just can't do it. You can talk until you're blue in the face, but you will never convince me to push my cuticles back using removers, sticks, or whatever. So, I have found my cuticles stay rather healthy when I moisturize them in this way which eliminates the need to mutilat...I mean push them back. All done!! My nails are ready to paint again! For my base coat, I have been using a Nicole by OPI base that I've enjoyed. Recently, I purchased an Orly Basecoat which I'm kind of scared to start trying because I don't want it to dry my nail up. We shall see, I might return it and go buy another bottle of the Nicole by OPI instead. Now that you know my secrets, what do you think? I told you I do nothing! 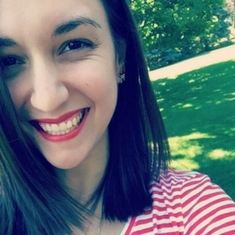 Don't forget to check out the other Twinsies! I'm sure their posts are more in depth and informative compared to mine!